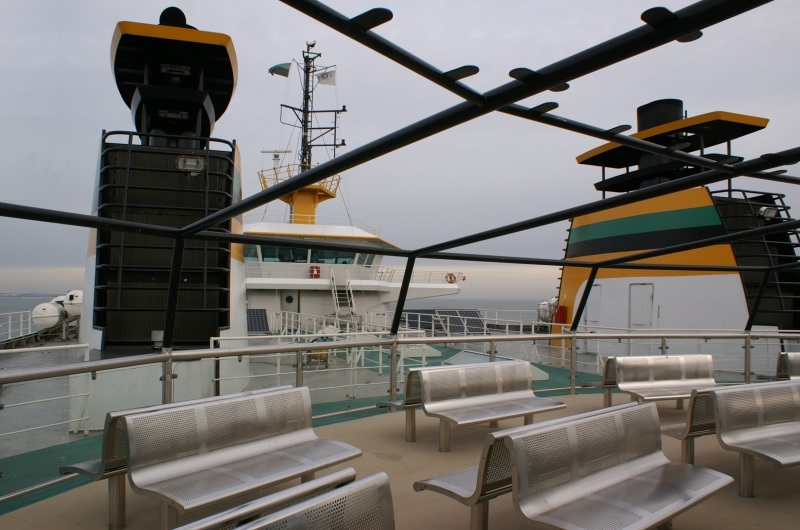 Upper promenade deck of the ferry Den Helder - Texel. 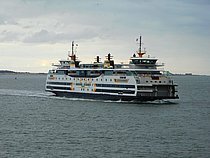 she is symmetric from midships onwards: two wheelhouses and four funnels. The crew change position by walking all day between the wheelhouses.